A trademark brand for a loosely woven cotton fabric. A cloth, yarn, and clothing made out of bamboo fibers. Modern bamboo clothing is clothing made from either 100% bamboo yarn or a blend of bamboo and cotton yarn. A lightweight, semi-sheer cotton fabric; used for heirloom sewing, lingerie, and blouses. 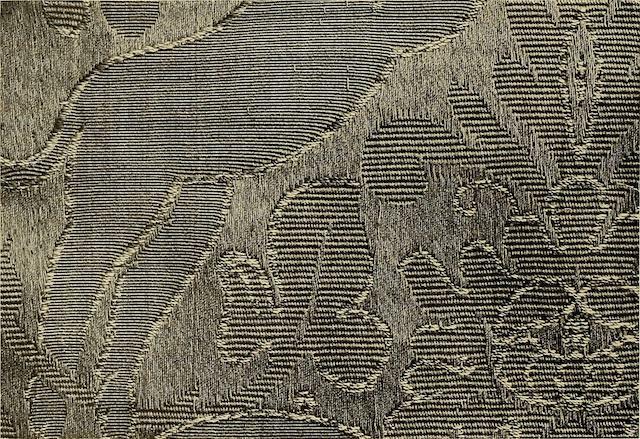 A dense, plain woven cloth, historically made of wool. Modern broadcloth is cotton or a cotton blend. A stiff cloth, made of cotton or linen, used in bookbinding and to stiffen clothing. A plain-woven textile made from unbleached, and often not fully processed, cotton. A finely woven white linen. An extremely durable plain-woven fabric(used for clothing or chairs or sails or tents). A linen-finished (flax) gingham cloth with a white weft and a colored warp, used for linens, shirting’s, handkerchiefs and as fabric for lace and needlework. 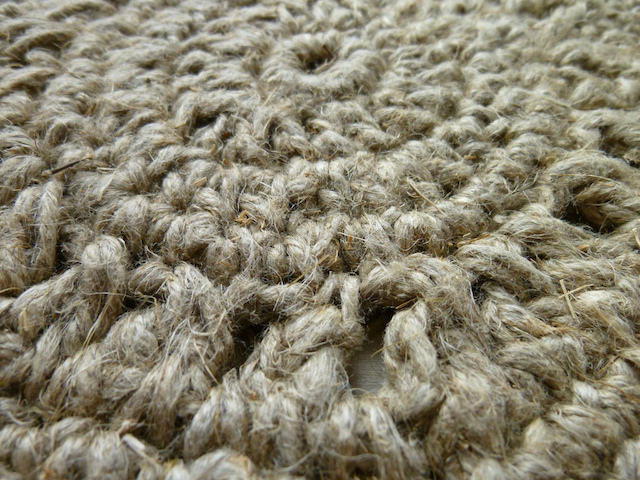 A heavy fabric woven with chenille cord; used in rugs and bedspreads, commonly manufactured from cotton, but can also be made using acrylic, rayon and olefin. A twill fabric, originally made of 100% cotton and cotton-synthetic blends. A brightly printed and glazed cotton fabric. A material that is made from the soft bark of a kind of oak tree. A textile composed of twisted fibers that, when woven, form the cloth's distinct pattern, a "cord"; usually made of cotton. A soft white fibrous substance that surrounds the seeds of a tropical and subtropical plant and is used as textile fiber and thread for sewing. A heavy cotton fabric, typically with a floral pattern printed on one or both sides, used for upholstery. A coarse durable twill-weave cotton fabric. Ahard-wearing, sheer cotton fabric woven with raised stripes or checks. A heavy, plain woven cotton fabric; used for clothing and tents. A synthetic fiber known for its exceptional elasticity. It is a polyester-polyurethane copolymer that is stronger and more durable than natural rubber. A flexible stretchable fabric made with interwoven strands of rubber or an imitative synthetic fiber. A light cotton or worsted fabric with an open mesh; used for curtains or clothing etc. A light cotton fabric imitating flannel. Fleece is a synthetic material made from polyester. The raw materials for polyester are made from two petroleum products: terephthalic acid and ethylene glycol. However, polyester can also be made from recycled plastic such as PET soda bottles. A strong cotton and linen fabric with a short nap, usually dyed in dark colors. A lightweight plain-woven cotton cloth, typically checked in white and a bold color. The tough, coarse fiber of the cannabis plant, used to make cordage, yarn, and fabric. A sturdy twilled cloth of a yellowish brown color used especially for military uniforms, usually made from cotton and linen. A fabric interwoven with threads of metal. Imitation leather made from paper, cloth, etc. A textile made from the fibers of the flax plant, Linum usitatissimum; is very absorbent and garments made of linen are valued for their exceptional coolness and freshness in hot weather. A cotton or linen fabric with the nap raised on one side; used to dress wounds. 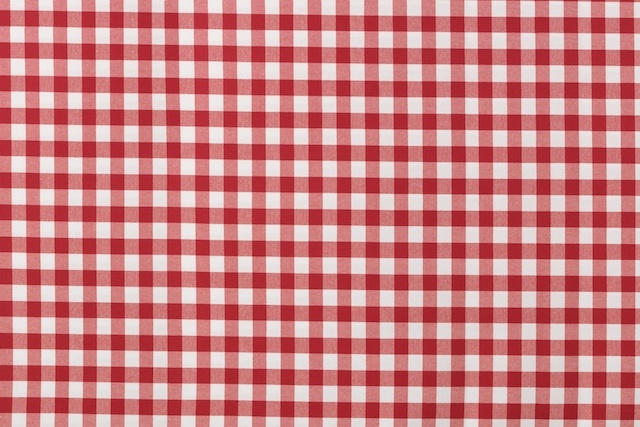 A lightweight cotton fabric with typically patterned texture and plaid design, used primarily for summer clothing such as pants, shorts, dresses, and jackets. A strong cotton fabric with a raised pattern; used for bedspreads. A very fine synthetic yarn. A type of rayon, a semi-synthetic cellulose fiber made by spinning reconstituted cellulose, in this case often from beech trees. Modal is used alone or with other fibers (often cotton or spandex) in household items. A durable cotton fabric with a velvety nap. 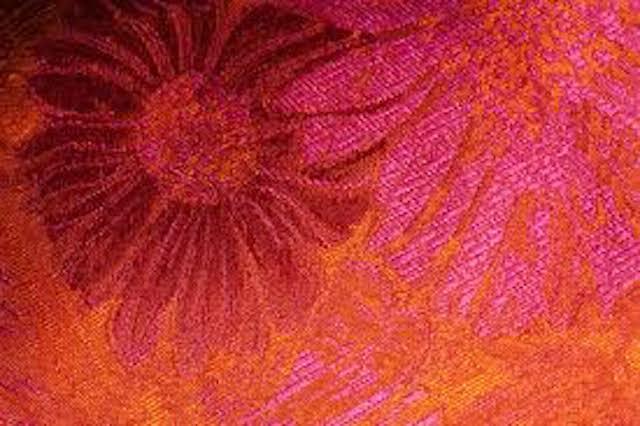 A thick velvety synthetic fabric used for carpets and soft upholstery. A cotton fabric of plain weave. A cloth treated on one side with a drying oil or synthetic resin. A brand of synthetic, acrylic textile fiber of lightweight, wrinkle resistance, and resistance to weathering and many chemicals. The most common thermoplastic polymer resin of the polyester family and is used in fibers for clothing, containers for liquids and foods, and manufacturing. A heavy twilled woolen over coating with a thick nap used especially for seamen's blue uniforms. A weaving style, normally used with cotton yarn, which is characterized by raised parallel cords or fine ribbing. A soft napped insulating fabric made from a type of polyester called polyethylene terephthalate (PET) or other synthetic fibers. A large class of synthetic fabrics. A brand of patented synthetic microfiber thermal insulation material developed for the United States Army in the 1980s. A synthetic fiber made from purified cellulose, primarily from chemically treated wood pulp. Any of various fabrics, as of cotton, nylon, or Dacron, for boat sails or tents. A cotton fabric with a satiny finish. A fabric of metal or plastic mesh. A woven material, one a finely woven lightweight fabric widely used in theatre, the other a heavy, coarse woven material used for reinforcement in both building and canvas making. A light fabric of linen, cotton, or rayon usually striped and slightly puckered, used to make clothing for spring and summer wear. A sturdy twill-weave cotton fabric; used for pockets and linings. The sisal fiber is traditionally used for rope and twine, and has many other uses, including paper, cloth, footwear, hats, bags, carpets, and dartboards. A synthetic fiber or fabric made from a polymer containing polyurethane, used in the manufacture of elastic clothing. A paper like cloth made in the South Pacific by pounding tapa bark. Made from the natural cellulose found in wood pulp. The fiber is economical in its use of energy and natural resources, and is fully biodegradable. Process and Products. TENCEL® is made from cellulose in wood pulp, which is harvested from tree-farmed trees. For TENCEL® the range of applications is versatile. The fiber finds its use from mattresses and bedlinen in home textiles over sportswear up to hygiene products like baby wipes or diapers. A brand of synthetic fiber thermal insulation used in clothing. The word is a portmanteau of thin and insulate. Any of various fabrics (linen or cotton) used to make towels. A synthetic microfiber fabric used to substitute suede leather; used in fashion, interior decorating, automotive and other vehicle upholstery, and industrial applications. A nylon fabric used as a fastening. A plush, knitted fabric or textile made from cotton or polyester. 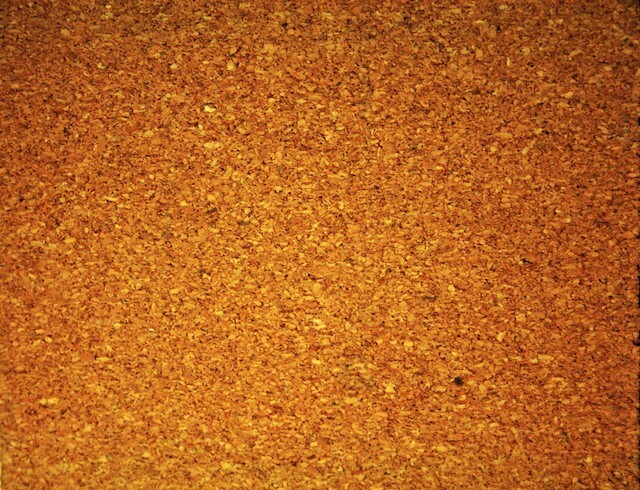 A cotton fabric with a pile resembling velvet. A rayon fabric made from viscose (cellulose xanthate) fiber, commonly used in dresses, linings, shirts, shorts, coats, jackets, and other outerwear; it is also used in industrial yarns (tyre cord), upholstery and carpets. A soft, sheer fabric, usually made of 100% cotton or cotton blends including linen or polyester. A laminated plastic composed of only cellulose. The material is a tough, resilient, hornlike that is lighter than aluminum, tougher than leather, and stiffer than most thermoplastics. A fabric woven of metallic wire used for window screens and strainers.